1. What kind of piano do I need to take lessons? Can it be digital? It is possible to start lessons with only a touch sensitive keyboard. With the development of perception and repertoire, you begin to feel the need for instruments with more touch response and sound richness. At that moment, the teacher will be guiding you to acquire the ideal instrument. 2. What forms of payment are accepted? Do I pay monthly or per lesson? We accept payments by credit card or bitcoins. Lessons can be paid individually or in 3, 6 or 12 (annual)-month contracts. Contact us and check with your teacher the best contract for you. 3. Does a live web lesson have the same quality as a face-to-face lesson? What are the main differences? – it is easier to record lessons, exchange links, documents and notes, and optimize class time and resources available to study in between lessons. To understand exactly how a live web lesson works, see this page. 4. Is there a minimum and maximum age for learning to play piano? Regardless of the age, students only need to enjoy music and want to learn to play. Of course, small children, who are students up to 5 or 6 years old, will benefit from active parental involvement – even though it is not compulsory. Older people may have a limitation for playing songs that require more physical endurance, but only if they have a specific health problem (e.g. respiratory or in the upper limbs). 5. Is it possible to take a free trial lesson? Yes, you can apply to our The Music Review Project by filling the form on our home page. 6. What are the lessons rates? As we have several contracts, the ideal is for you to contact us and see with your teacher the best one for you. 7. What is the recommended workload? This recommendation depends on the age, the level, the repertoire size and the time to study in between lessons. Children up to 10 years of age have a better result with 2 lessons per week of 25 minutes, to ensure concentration during class and avoid a very long period without orientation between lessons. From the age of 11, classes will be 55 minutes, and the frequency will be defined by the student´s commitment with the studies at home. If it is possible to study at least 1 hour a day at home, the two weekly lessons will bring a real result in the speed of the student’s musical development. If the daily study time is less than this, one weekly lesson will be sufficient and enable the student to better enjoy his time with the teacher. 8. Are the live web lessons available to all student levels? And if I have never played piano, can I start without any knowledge? Yes. Beginners, intermediate or advanced students can take lessons with us, even without previous piano or technology experience. 9. I do not have time for live lessons, is there an option of video lessons? Yes, there is. The alternative we offer you to have the teachers’ guidance of the PianoClass is the Custom-tailored video lessons. With them, you will have the active and personalized orientation of one of our teachers through video lessons. You can know more details about this modality by clicking here. 10. Can I record my live lessons to watch them again later? Yes, you can. Just use one of the lessons Record Apps that work along with Skype. 11. Do I need to get some teaching material for the lessons? Initially, we provide all the necessary material. The student will be only responsible for the purchase of scores that are not available for free in the IMSLP (International Music Score Library Project) and similar sites or those ones that we do not have the distribution license. We also provide files for printed sheet music, educational games and access to various music notation software, including free ones. 12. On which days and times can I schedule lessons? Lessons can take place from Monday to Saturday, at times to be arranged with the teacher. More details are available on the PianoClass Academic Calendar. 13. Where do I find the guidelines of the lessons offered by the PianoClass? 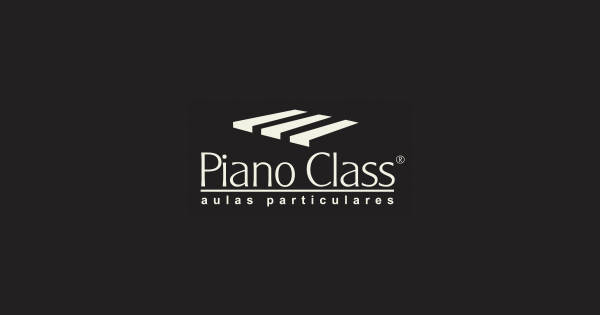 On the Guidelines page, you will find all the details on rescheduling lessons, punctuality, use and cancellation of lesson contracts and much more to take advantage of everything the PianoClass offers its students.